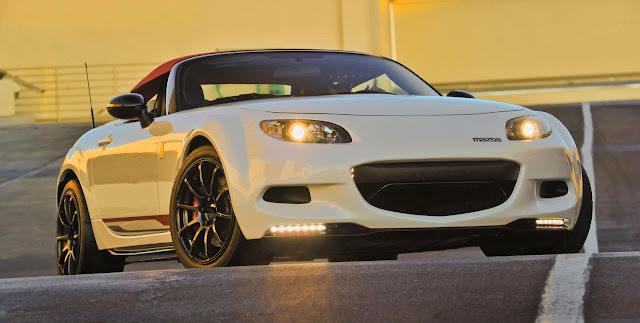 Spyder made it's debut at the 2011 SEMA show in the USA. 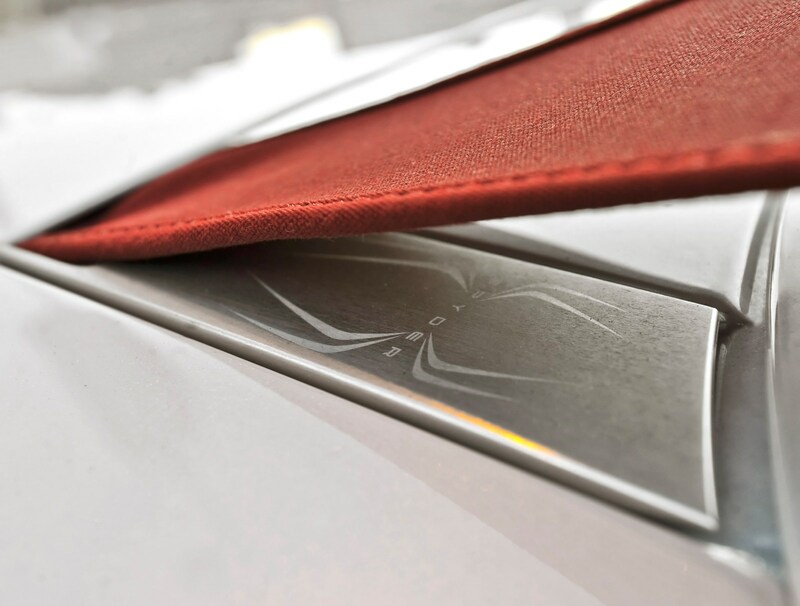 Completely removing the soft top and with no hardtop mechanism in place, the Spyder instead has a stretched cloth hood similar to the Porsche Boxster Spyder. The Spyder also features some unique exterior styling such as the one-off front bumper design with integral air splitter and daytime running lights that hinted at the upcoming facelift. 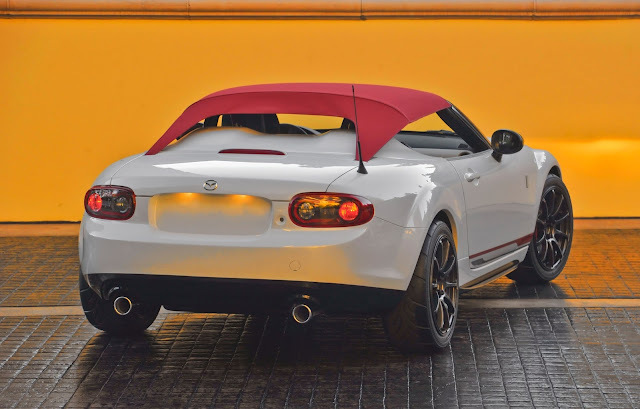 A unique rear deck cover sits where the soft top would have been. New aero sideskirts and contrasting black door mirrors and windscreen surround finish off the look. 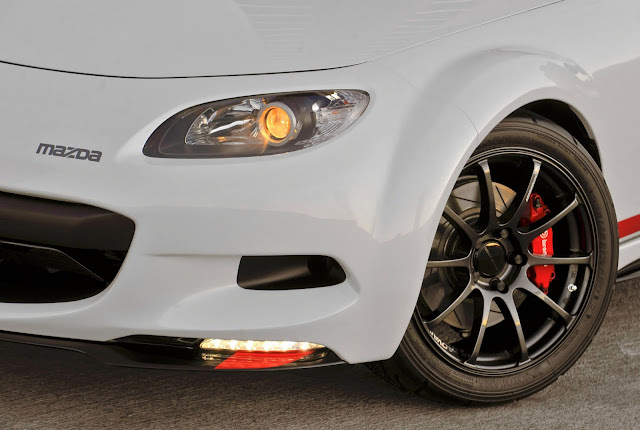 The concept was fitted with Mazdaspeed adjustable coilovers, Brembo brakes, Racing Beat exhaust, and 17" Advan Racing RSII alloy wheels. 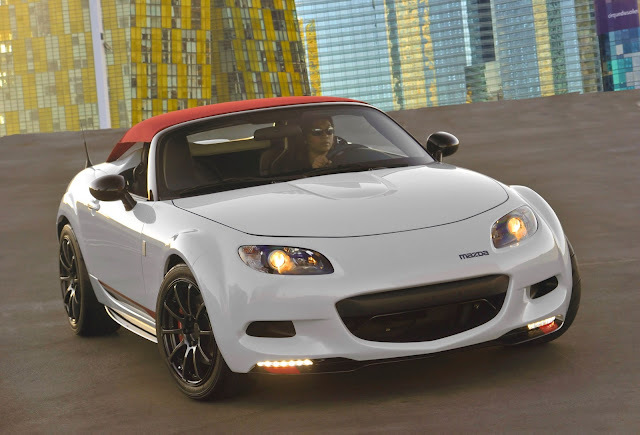 The car was said to run on isobutanol, a biofuel used by Mazda in motorsport. 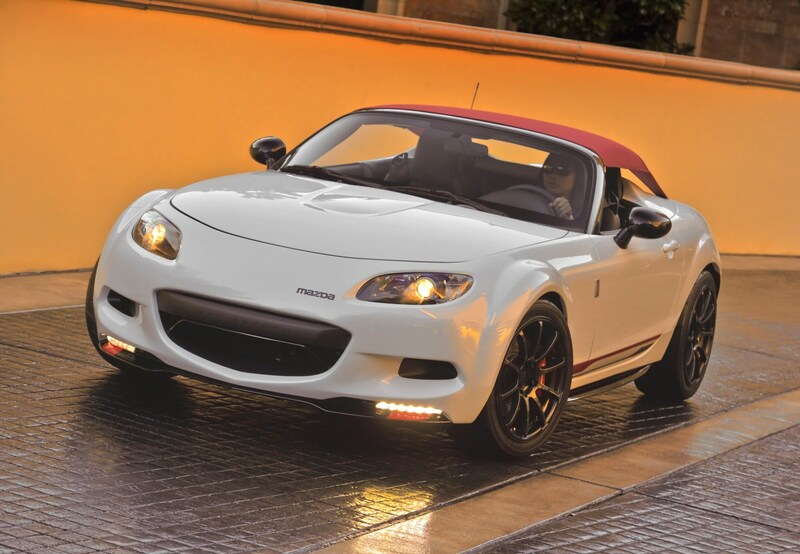 The exterior of the car also had a unique Spyder logo badge, and I really like the Mazda decal on the front as a little nod to the NA Roadster. 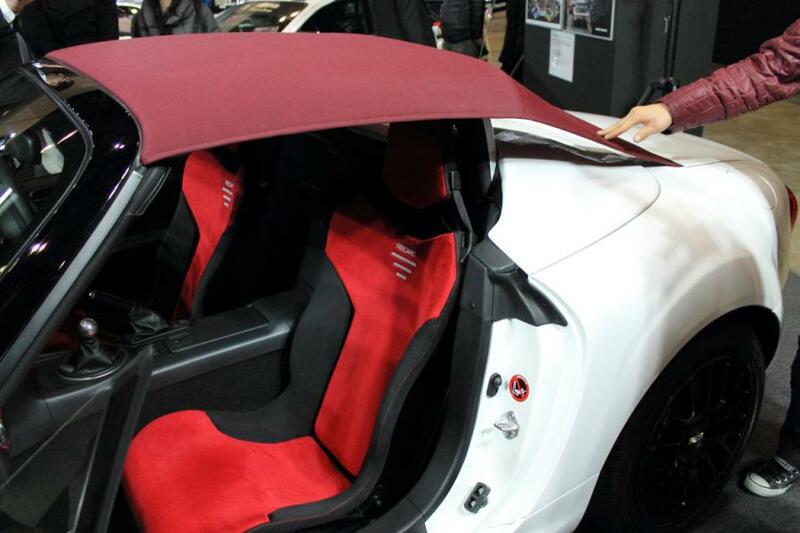 For the interior, there were new leather seats, door panel trims, and floor mats. 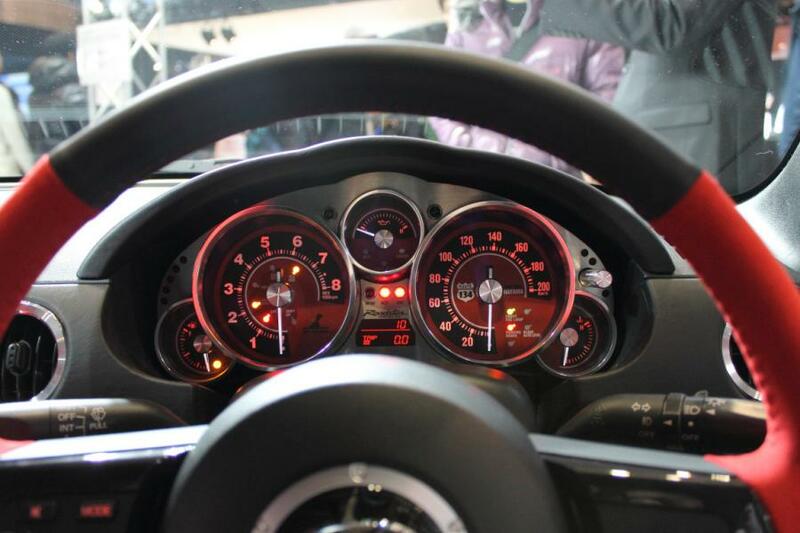 The dashboard trim panel also had the Spyder branding. 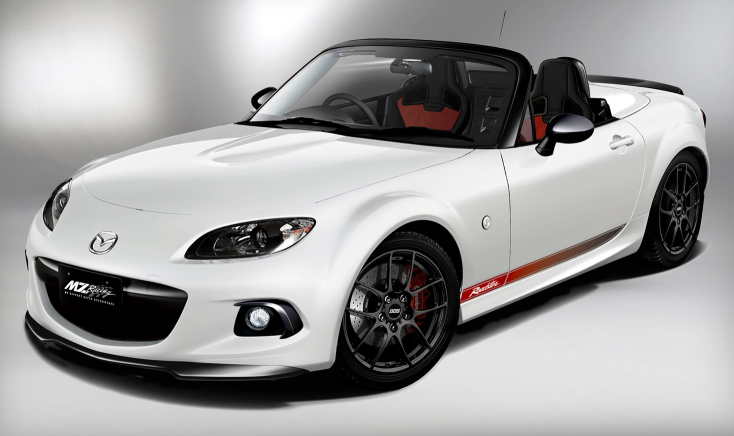 A new version of the Spyder concept was shown at the 2013 Tokyo Auto Salon by Mazda in cooperation with MZ Racing. This time the car made use of the 2013 facelift front end while keeping the same colour scheme of white with red "bikini top" with the exterior stripe graphics getting an update. There were also black contrasting door mirrors, windscreen surround, front & rear spoilers, and BBS Individual RI-D alloy wheels. Inside were added some new Recaro seats trimmed in red and black, and customised instrument dials by ArtWorks/Dewa. The MZ Racing stand at the show also featured an example of the TCR012 race car and a racing modified RX-8 by Knight Sports.